A 26-year-old man was stabbed once in the neck and three times in the back during an altercation at a beach fire at , a police officer said Monday. 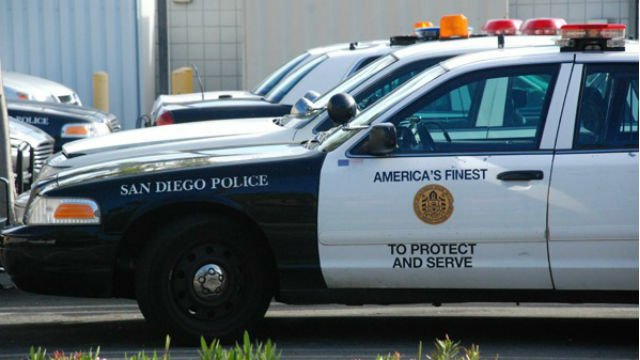 The fight and stabbing happened at 10:30 p.m. Sunday in the 3200 block of Mariner’s Way, said San Diego Police Officer Dino Delimitros. The victim fought with a 25-year-old man, Delimitros said. A 19-year-old woman suffered a broken arm when a 25-year-old woman threw her on the ground, when the women with the victim fought with the suspect after the stabbing. The stabbing victim was transported to a hospital with wounds not expected to be life-threatening, the officer said. The victim knew the suspect, who was still at large, Delimitros said.